Re:Sound is a Canadian not-for-profit music licensing company dedicated to obtaining fair compensation for artists and record companies for their performance rights. 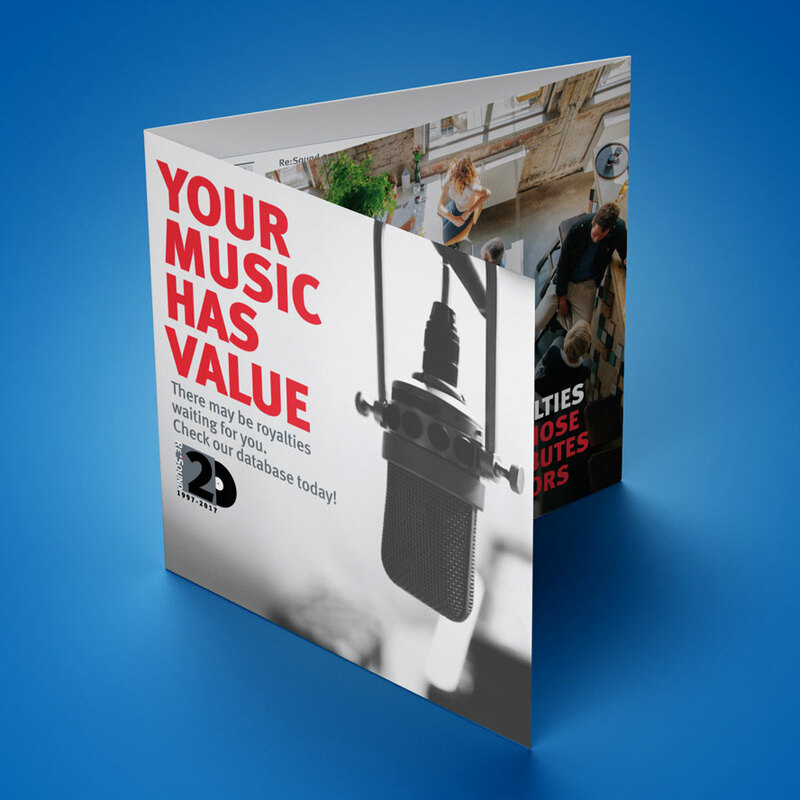 They advocate for music creators, educate music users, license businesses and distribute royalties to creators — all to help build a thriving and sustainable music industry in Canada. 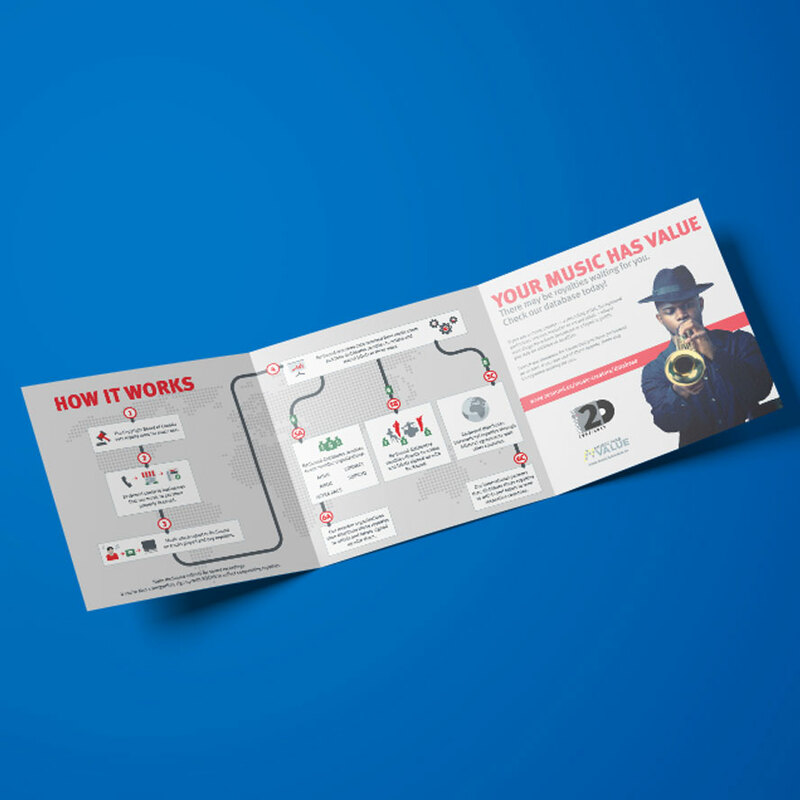 Nerd House Design created a tri-fold brochure to hand out at music events such as Canadian Music Week and the Juno Awards.